A quintet of battles to anticipate ahead of South Africa and Sri Lanka’s opening Test at Kingsmead in Durban this week. 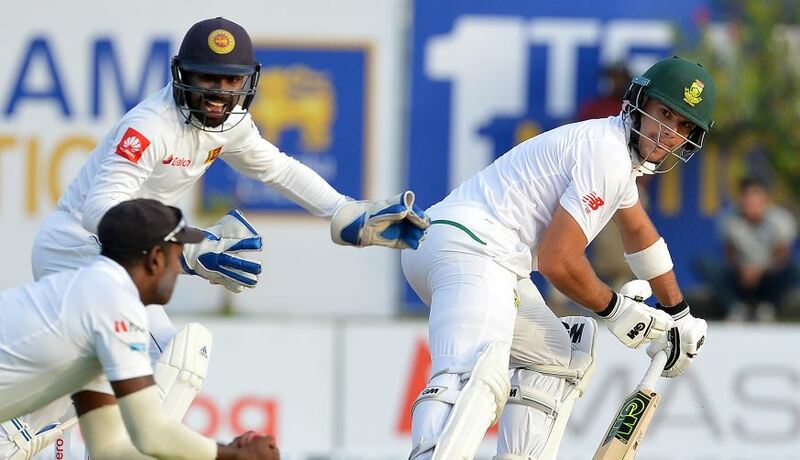 Karunaratne was successful against a Proteas attack spearheaded by Steyn during last year’s Test series in Sri Lanka. Steyn was struggling for match fitness at the time, but has since become South Africa’s leading wicket-taker in Test cricket. Karunaratne was among the top run-scorers of the longest format of the international game in 2018 – and will be captain after former skipper Dinesh Chandimal was dropped for this series. Whether the extra responsibility limits or empowers the in-form opening batsman remains in the balance. Lakmal will lead a visiting bowling attack hampered by a string of injured absentees. The 31-year-old seamer is nursing a recent back injury too, and will be hard pressed against a motivated Markram. The Proteas opener was part of the ODI squad for the recent series against Pakistan, but was not selected for the playing XI. A change of format will afford him the chance to build on burgeoning and impressive Test credentials. The return of captain Faf du Plessis, who was suspended for January’s final Test against Pakistan, will effectively leave De Bruyn and Hamza vying for one position. De Bruyn is in possession of the middle-order berth in question, but Hamza’s solid 41 on debut in Johannesburg could merit superiority in the pecking order. However, there will be room for both if the Proteas forego the veteran Hashim Amla. Mulder is a mere 20 years old and uncapped at Test level, while Siriwardana is 33 and has not played the ultimate format since May 2016. Given the composition of the squads, both are de facto all-rounders, but neither guaranteed a starting berth. Mulder could gain selection ahead of the stalwart Vernon Philander, while Sri Lanka might forsake a seamer and have Siriwardana bolster the batting and spin resources, particularly in the absence of the experienced Dilruwan Perera. The decision to omit Perera, who took 16 wickets in two Tests against the Proteas last year, and fellow spinner Akila Dananjaya’s ongoing absence due to a bowling suspension, will leave plenty of pressure on De Silva. He managed just one wicket in two Tests in Australia recently. Conditions in South Africa won’t be subcontinental in nature, but will afford him a bit more turn than Canberra and Brisbane did. Maharaj was deemed surplus to requirements for the second and third Tests against Pakistan in Cape Town and Johannesburg, but will likely return to a Kingsmead venue more conducive to slow bowling. Maharaj, remember, took a record-breaking innings nine-for against the Sri Lankans last year.